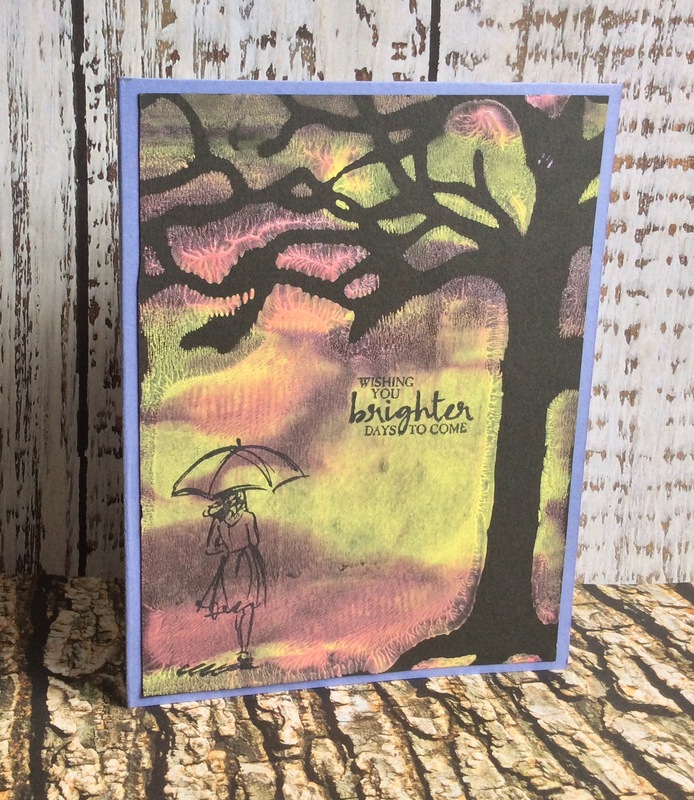 I found this Gelli printed background, that I used a stencil on for the tree image, and I thought it would go lovely with this Beautiful You stamp and message. Hope you like it. Something different! What a nice saying for someone who’s having a hard time. I like the colours. Lovely card, Denise. Like your background work there. Oh, and this card I can see just fine.